IAIA16 paper/poster abstracts are due 30 November. 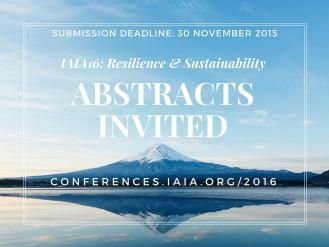 Abstracts for paper and poster presentations at IAIA16 are due 30 November. The online submission form is available on the conference website under the Submissions menu. Please review the guidelines and policies and then submit your abstract by 30 November.